It’s been a funny old year. We waited in expectation for the summer and now look back to when it should have been. The temperatures never seemed to get very high, although looking back over photos we did have some beautifully sunny days in May, June and July. But somehow it’s easy to feel cheated. We didn’t get those long, lingering sunny evenings when it seems to take forever to get dark. And here we are, just having put the clocks back, and taking the dogs out earlier so that they can get a good run in the daylight. I’m not getting depressed though: I love autumn and winter. They bring a different beauty to spring and summer, so here’s looking to the enjoyment of different seasons. PS Looking back over my photos this year, here is one of my favourites of Exmoor ponies, taken in March 2008. Posted in wild and gardens. 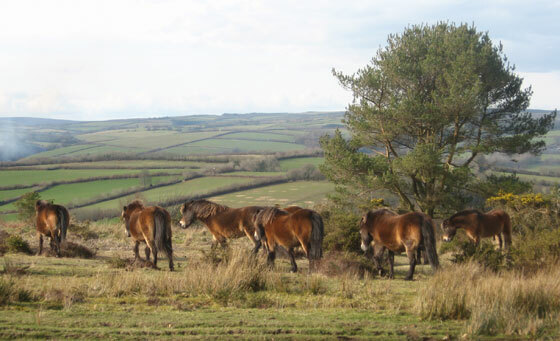 Tagged with clocks back, Exmoor, ponies, robzlog.